Fairpark Promenade: Not to be missed! Salt Lake City’s SmartTrips program, in collaboration with the Fairpark Community Council, will host one last community event this weekend to bring the community together for some good old-fashioned community appreciation! Residents are invited to join their neighbors on a friendly ~1 mile exploration around a couple of local blocks. Kids, red flyers, wheelchairs, broad-brimmed hats and parasols welcome! Ever wondered when that old building on the corner was built? Imagined what your neighborhood looked like 50 years ago? Or speculated who the green thumbs are behind those beautiful community garden vegetables? The two block area of this first Fairpark Community Walk Around the Block is surprisingly rich in history, cultural centers and urban gardens—each with current and/or historical special meaning to residents old and new. 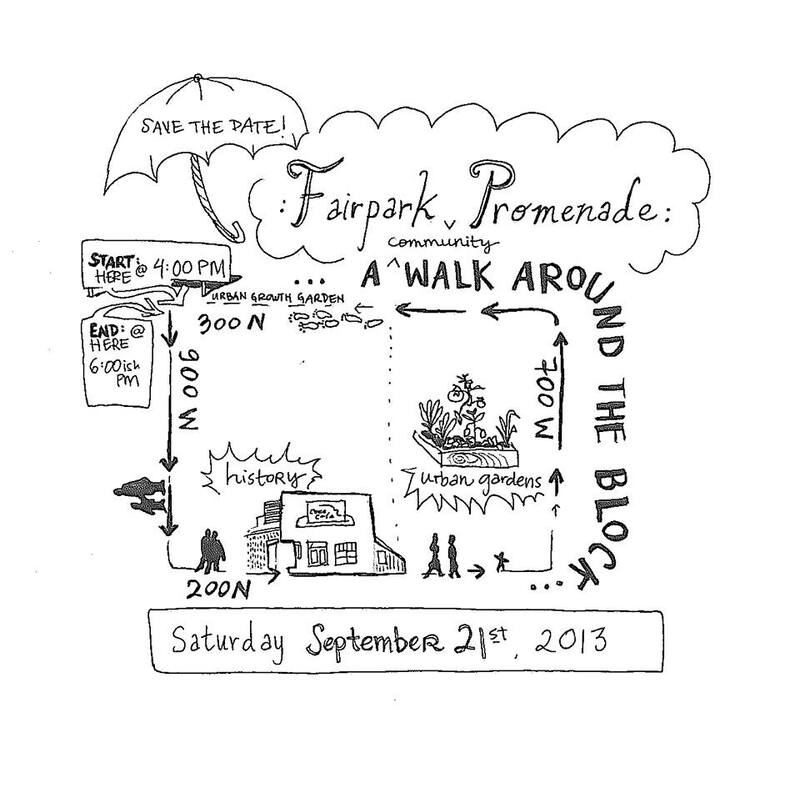 Don’t miss the Fairpark Promenade: A Community Walk Around the Block this Saturday, September 21st from 4-6 p.m. Fun!